Arts and Culture. 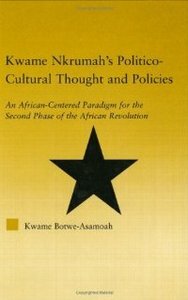 It was also the period that the National Theater Movement wasmaturing in the regions with the emergence of several performing arts’ groups in eachregion of Ghana.The notable performing arts groups in Accra were : Obadzeng founded by SakaAcquaye, the Paradise Theatre Promotions, The Osu Youngsters Club, The AfricanTheater Group, The Theater Club Group, The Unity Choir Group, The Good SamaritanSociety and The Ghana Farmers Drama Group. There were also the Ga AdangmeCultural Society, Ayitee’s Drumming and Dancing Club, Worker Brigade Concert Party,Workers Brigade Nungua Camp Orchestra, the Renaissance African Club and the GhanaExperimental Theater under Efua Sutherland (NAG/RG3/7/60). The ExperimentalTheater Players introduced Anansegoro [Spider Plays] into Ghana’s theater traditionsoutside its traditional environment. They included “Anansesem,” “Wohyee Me Bo” and“Mirididi Me Nyansa Ho” [unpublished Experimental Theater Players document]. In thecase of The Osu Youngsters Club, for instance, E.A.Hanson directed their winning play,“The Rich Man and Death” in Ga on October 31, 196.